For all you jet setters out there, Samsonite Canada has announced a new revamped responsive website that is optimized for your iPhone, iPad or any other device. 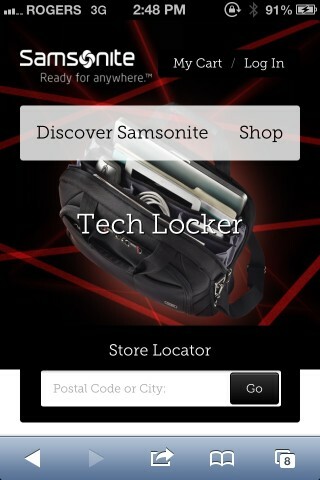 The new website allows shoppers to easily buy luggage from their mobile devices and find Samsonite dealers. Access the site from your desktop will auto detect your location and show nearby retailers. 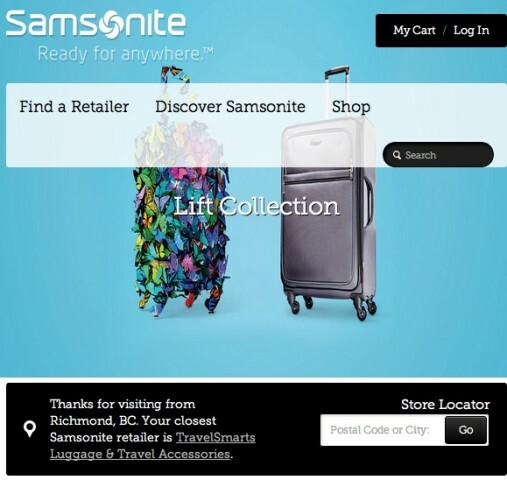 Samsonite Canada notes they are the first major entrant in the national luggage market to release a mobile optimized ecommerce website. “We aim to perpetuate and enhance our leadership position in the market; firstly by continuing to provide best in class products and a total support philosophy for our valued Samsonite Retailers and secondly by upgrading our ecommerce platform with an enhanced experience for consumers who prefer this purchasing style” notes Paul DeCorso, General Manager at Samsonite Canada. Next up, we review some Samsonite luggage for everybody.